Your list of things to see and do now includes Sky Casino, Snow World, Jalan Alor, and other attractions. The adventure continues: admire the landmark architecture of Petronas Twin Towers, explore the world behind art at Islamic Arts Museum Malaysia, take in panoramic vistas at Menara Kuala Lumpur, and stroll through Batu Caves. 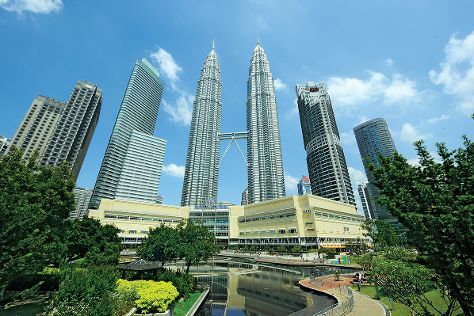 For other places to visit, ratings, and other tourist information, read Kuala Lumpur trip itinerary planner . Kuwait City, Kuwait to Kuala Lumpur is an approximately 11-hour flight. You can also do a combination of flight and bus. The time zone difference moving from Arabia Standard Time (AST) to Malaysia Time (MYT) is 5 hours. Expect somewhat warmer evenings in Kuala Lumpur when traveling from Kuwait City in April, with lows around 29°C. Wrap up your sightseeing on the 8th (Mon) early enough to travel to Singapore. Your day-by-day itinerary now includes Changi Beach, Changi Beach Boardwalk, Changi Airport Terminal 3, and other attractions you added. Change things up with these side-trips from Singapore: Sentosa Island (Siloso Beach, Skyline Luge Sentosa, & more). And it doesn't end there: get to know the resident critters at Singapore Zoo, get to know the fascinating history of Sentosa Boardwalk, appreciate the history behind Merlion Park, and don't miss a visit to Singapore Flyer. Plan a Singapore trip in moments using our itinerary builder. Getting from Kuala Lumpur to Singapore by flight takes about 3.5 hours. Other options: drive; or do a combination of flight and bus. In April, plan for daily highs up to 39°C, and evening lows to 30°C. Finish your sightseeing early on the 13th (Sat) so you can travel to Melbourne. Your list of things to see and do now includes St Paul's Cathedral, Crown Casino, Balloon Rides, and other attractions. Change things up with these side-trips from Melbourne: Twelve Apostles (in Princetown), Port Campbell (The Grotto, London Bridge, & more) and Bay of Islands (in Warrnambool). There's much more to do: take in nature's colorful creations at Royal Botanic Gardens, brush up on your military savvy at Shrine of Remembrance, make a trip to Block Arcade, and examine the collection at Melbourne Museum. To find maps, ratings, photos, and other tourist information, read Melbourne tour itinerary maker website . Traveling by flight from Singapore to Melbourne takes 10.5 hours. Alternatively, you can do a combination of flight and shuttle. Due to the time zone difference, you'll lose 2 hours traveling from Singapore to Melbourne. Traveling from Singapore in April, expect Melbourne to be colder, temps between 23°C and 11°C. On the 20th (Sat), you'll travel to Sydney. You've added Government House, Sydney Tower Eye Observation Deck, St. Mary's Cathedral, and other attractions to your itinerary. 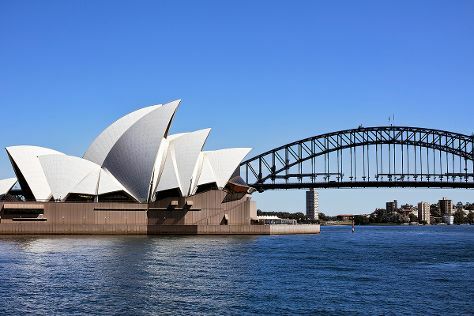 There's much more to do: catch a live performance at Sydney Opera House, wander the streets of Darling Harbour, admire the natural beauty at Royal Botanic Garden Sydney, and get to know the fascinating history of The Rocks. For where to stay, photos, maps, and more tourist information, you can read our Sydney online journey planner . You can fly from Melbourne to Sydney in 3.5 hours. Other options are to do a combination of shuttle and flight; or drive. Traveling from Melbourne in April, expect a bit warmer with lows of 17°C in Sydney. On the 26th (Fri), you're off toKatoomba. Your day-by-day itinerary now includes Lithgow Small Arms Factory Museum, Zig Zag Railway and The National Pass. Kick off your visit on the 26th (Fri): take in the dramatic scenery at Wentworth Falls, stroll through The National Pass, hike along The Giant Stairway, admire the sheer force of Katoomba Falls, then take some stellar pictures from Eagle Hawk Lookout, and finally explore the fascinating underground world of Jenolan Caves. On the 27th (Sat), you'll have a packed day of sightseeing: get interesting insight from Zig Zag Railway and then see the interesting displays at Lithgow Small Arms Factory Museum. To see traveler tips, more things to do, where to stay, and other tourist information, use the Katoomba online road trip planner . Drive from Sydney to Katoomba in 1.5 hours. Alternatively, you can take a train. Plan for a bit cooler nights when traveling from Sydney in April since evenings lows in Katoomba dip to 14°C. You'll set off for home on the 28th (Sun).